#1 What is the difference between DOM-M and DOM-P? Both of these terms refer to Days on the Market for a house for sale. DOM-M stands for Days on the Market-MLS. Or the number of days this exact MLS listing has been on the market (not the home, but the MLS#). I have found that the average MLS listed home in Northern Virginia drops 8% (including seller subsidy, see older post) from the real first MLS listed price (sorry, but no public MLS system shows the starting price if it was relisted). However a home that sells within the first 10 days sells for only 1% below list. FranklyMLS.com is one of the only sites (out of 33, see all here) that will show you both the DOMM and DOMP (most show neither). See a sample search for Arlington Homes. We think it is important to have as much data for the consumer as possible. Tricks: Where there is data, there are Realtor tricks (more here on MLS DOM fudging). Fat-Free Fudge (ie legal). An agent relists their own property in order to reset the DOMM (but not DOMP). This is allowed. I don’t like it and it has a ton of drawbacks (like buyers that have your homes saved, suddenly think it is sold). Advantages: a) looking like a new listing for sites that don’t show DOMP b) The “Original price” is reset (only a few sites show this as well). This is the starting price for this one particular MLS listing (or DOMM) and NOT the starting price of a previous listing for this home (DOMP). But if 1 Realtor has it for $300,000 and then 30 days later that same MLS listing is dropped to $285,000, the “Original Price” will come up as $300,000 and the List Price (or Asking Price) will be $285,000. Sign up! Make sure you subscribe to this blog via email or RSS for posts. We won’t spam you. Big Advantage over other sites…. I am a new convert to and frequent user of franklymls, and have been telling friends about it. What I love most is that you share DOMM/DOMP, and the search flexibility. I had to ask my realtor, several months ago what DOMM was. I’ve been using your site almost since it appeared. Now you have an explanation, which is excellent. I had no clue what domp or domm were, but we googled it and found out and now I love that feature! I had actually said that when we were searching before, I wonder how many days this has been on the market! I know the difference thanks to your linked explanation. Knowing that a home has been on the market for a year tells me that I might be able to get a better price than, say, a home that was listed last week. I also appreciate seeing the tax value for last year, the original listing price and current price. It helps me make a more informed decision. Yes, please we would love to see Frankly Price Predictor. I think its much needed tool and people would be big advantage and people would love it. Great Site and this would be great add-on. I stumbled upon this site by searching for a specific address on google, and have been using it all day today. Thank you for such a great resource. I love this DOMp/M feature you added. I didn’t understand when I chat with you yesterday. But I do now. This is a GREAT website! Love searching for homes here because ALL the information needed is listed on one source rather than having to use multiple websites to get the whole picture. DEFINITELY start putting “Frankly Price Predictor” on the listings!!! I think that might really tick people off. I’ll think about it. Right now we are adding price drops, and the previously sold price! DO I add that in the spreadsheet mode? hum? Also I will be showing the PREVIOUS list price for homes that were relisted. Not 1 website has that. Should that go in the spreadsheet mode?? Maybe a rollover? Just by luck I found this site. I continued to look on the site until I found exactly what i was looking for at my price. I still can’t believe the great deal. I had to go to the county website to confirm what I paid for it and what it appraises for. I recommend this site to anyone looking to purchase a home. oops ..try again looking to know if you can add search operators DOM>100 or DOM<# meaning homes on market greater than 100 days or less than three days etc..
Love this site! Thank you. 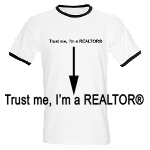 I LOVE THIS REAL ESTATE RESOURCE! IT IS THE BOMB!!! This site is one of the best I have encountered. I check it religiously. Not sure if these old posts get any attention, but who would one report a “full of fat fudge” to? A long-in-the-tooth listing I’ve been watching went off the market for a couple weeks and is now back with a fresh MLS# and a DOMm/p of 0/0. Very sneaky! This site is awesome and the best of the best features you offer is the domm/domp and the previous listing prices. I love it and I tell EVERYONE that I know that is looking for a house. Keep up the good work. FYI, I found my first home here and I’m looking now for a second one. The first time my brother visited my home his exact greeting was “how did you find this home?” and I told him. I love this site! dOM/P definition should say days on market before a contract because it stops calculating the numer once a contract is on the house. So you may see a DOM/P of 5 days but when you look at history compare to contract date, compared to closing date you come up with different number. I call it the days on market before a contract was placed on the house.